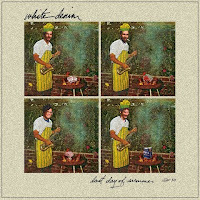 Atlas and the Anchor: Free Friday: White Denim - "Last Day Of Summer"
Free Friday: White Denim - "Last Day Of Summer"
Ah, summer. 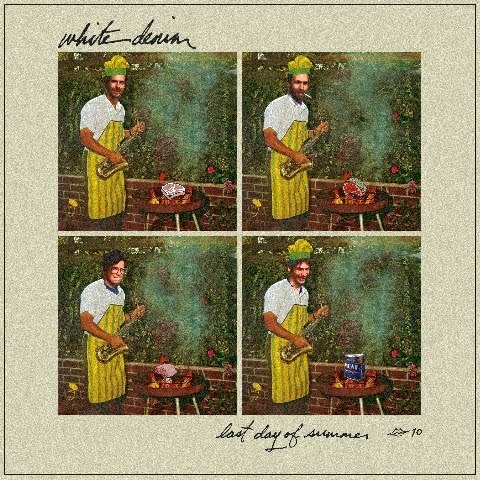 It seems like just yesterday...well, with help from White Denim, you can relive those last days of summer with a free download of their aptly titled new album Last Day Of Summer. The album is more of an experimental effort than a proper third album, with songs that might not have fit in the flow of Fits, their excellent sophomore album released just last year, or on the new album the band is currently recording. The album features jazzy jam sessions and some very catchy pop moments that make it very interesting. "Home Together" features a skronky sax solo with tumbling drums, an infectious chorus and shimmering keyboards. "Toni Fatti" is off-kilter with a frenetic pace and winding, interlocking guitar and bass lines. The first curve ball is "If You're Changing", a charming and twangy Byrds-like backroads Country song that works. Following that are two eclectic instrumentals: "Incaviglia" is jazzy with Spanish-style guitar and moaning fretless bass and "Light Light Light" is a sort of indie New Age, featuring sultry saxophone and flutes performed by Austin jazz great Alex Coke for two standout moments. Another standout track is "Some Wild Going Outward" which is highlighted by great vocal harmonies and ramshackled percussion. Also, the Wurlitzer-led "Champ" features a baritone guitar that anchors the bouncy rhythm and finally, "New Coat" closes the album on an upbeat note, satiating us until their next album is released. Belle and Sebastian - "Write About Love"
Tim Kasher - "The Game of Monogamy"
No Age - "Everything in Between"
Adam Haworth Stephens - "We Live On Cliffs"